Inhuman (The Inhuman Chronicles Book 1) - Kindle edition by Todd Feren. Literature & Fiction Kindle eBooks @ Amazon.com. Being a self aware sociopath, Jeffrey Wayne has always observed a world he’s never truly felt a part of. His entire life he has been forced to play the role of a human, always hiding the darkness inside of him from the rest of society. When humanity succumbs to flesh eating monsters, Jeffrey is content simply observing the fall of mankind. Then, a small dog shows up and forces its way into Jeffrey's life, turning his world upside down. The two begin an adventure through the heart of a dying world, and Jeffrey must face creatures even darker than the one that lurks inside his human veneer. 5.0 out of 5 starsDifferent take on the Zombie Apocalypse. I've read a ton of horror books, the thing that's been big for the last 10+ years has been Zombie books. I've read everything from Keene to "Day by Day Armeggedon." Some zombie books are great, some are boring, some are cliche, some are unique. This book is a bit different. There are zombies yes... but they really aren't the focus of the tale being told. 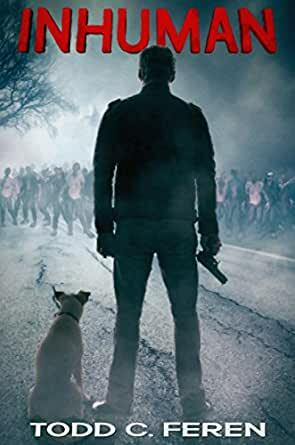 The super short synopsis is "The Zombie Apocalypse from the point of view of your friendly neighborhood sociopath who is going through a midlife crisis due to... a dog." The zombies though interesting, take second seat to being in the head of a sociopath trying to make his way through a new world where human emotions he's always been able to manipulate and control in others are suddenly shifted as everyone goes into survival mode. Then suddenly there is a dog... something more human than the humans - something that personifies humanity, society, love, understanding and wields it's magical canine power over all it encounters. The book is a quick read. It's fun, funny, rather light for something you would find in the horror section and clearly worth the read. I'm not sure if there is a sequel but if there is - I'll read it for sure, I'm interested in seeing where the author goes with this story over the long term. There has been a lot of setup, however I didn't feel let down by where the story ended. If you are a fan of unusual horror/comedy then grab this and give it a whirl. 5.0 out of 5 starsCreative, comedic, gorey, and gripping! I absolutely loved this book! I think it's a such a unique take on the zombie apocalypse. At times funny, dark, gorey, thrilling, heartwarming, and suspenseful it has everything. Not to mention half of the protagonistic team is an adorable dog! Such an interesting take on what it means to be human and inhuman. The author tells a witty and gripping story that you won't want to put down. The final showdown is my favorite in the zombie genre, so creative. Read it, tell your friends to read it, tell your dog to read it. I'll be anxiously awaiting the next installment! Really enjoyed this book. Made me laugh and cry. 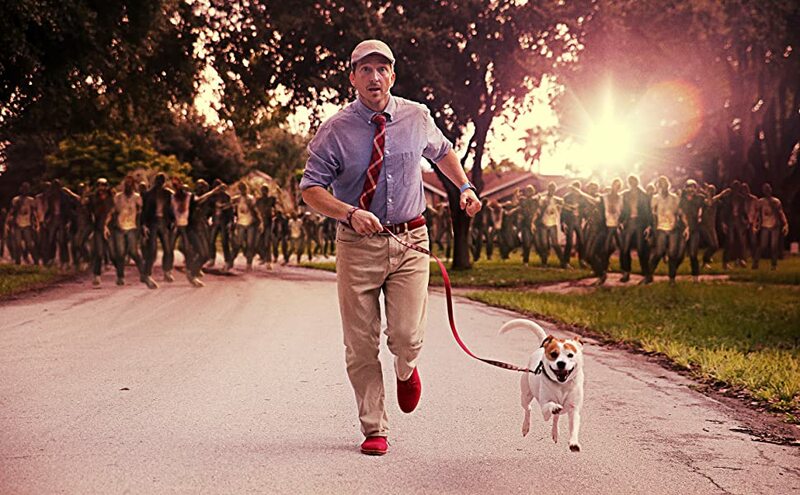 Loved the idea of a psychopath dealing with the end of civilization and who doesn’t like dogs. Thank you for writing this sweet, interesting story. I got a kick out of Rex’s reactions and how they chipped away at Jeffries self imposed barriers. Just lost our little furry beast, so this story hit close to home for me. Loved the story, loved the premise, loved the dialog. Loved the dynamics between the characters. Didn't need to know too much backstory on Jack, Sara, or even Terry. The relationship development between Rex and the Inhuman was enough for me. Great book! This book was so funny! I kept waiting for my husband to look at me like I had lost my mind bcuz I kept cracking up. The story is really good. I highly recommended! 5.0 out of 5 starsPretty good read. I have read better and worse .